The poll officials have to pass through deep forests, face wild animals and heavy rains and, at the same time, ensure that the EVMs and VVPATs reach poll booths on time. 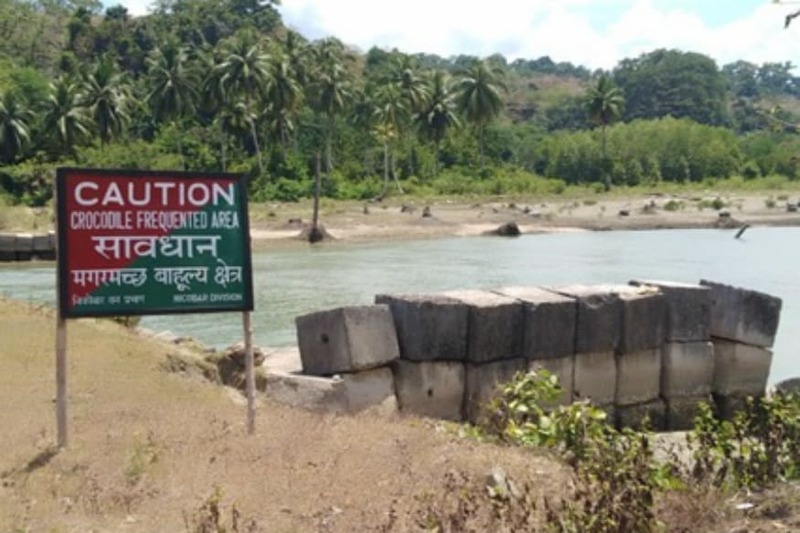 Port Blair: In the union territory of Andaman and Nicobar Islands, which has only one Lok Sabha seat, the poll officials are having to pass through dense forests with pythons, king cobras and wild boars and dodge hungry crocodiles to review poll preparedness. The daunting task of conducting polls in these islands can be gauged from just one visit to the director general of police at Atlanta Point and office of deputy commissioner (south Andaman) in Port Blair. While officials in one corner of the DC office are struggling with heaps of files related to the polls, in another corner, assistant chief electoral officer KP Nagaraj is tense about not being able to send an important mail due to poor internet connectivity. “Net connectivity is a big issue here but we are all prepared for the voting day on April 11. The EVMs and VVPAT machines have been dispatched to all three districts by boats/vessels,” says Mukesh Rajora, deputy chief electoral officer. Port Blair DGP Dependra Pathak is also busy making phone calls to district officials to check the poll preparedness. “Put all the officers on their respective areas. I will personally visit all districts. 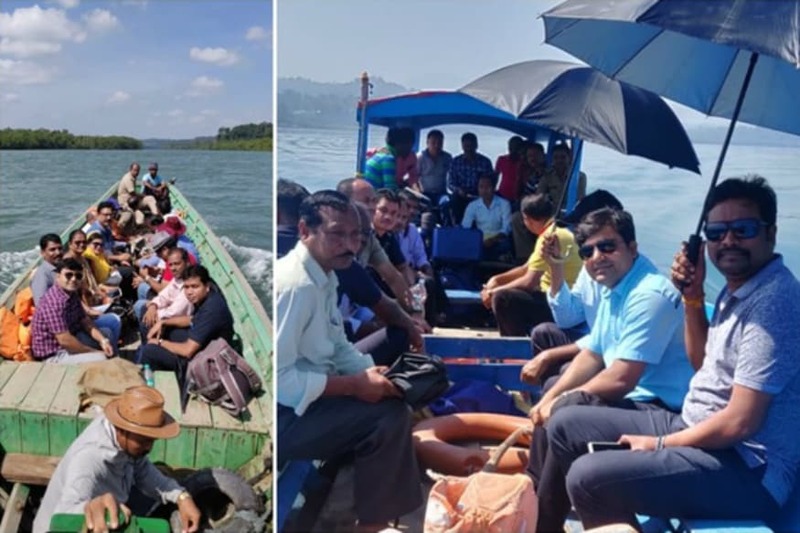 We will be needing an additional dinghy (small boat) for backup support and forest guards to accompany poll officials to Badakhari, Hanspuri, Cuthbert Bay, Gujji Nallah, Rutland (under Mayabander Tehsil) and Coffeedera (Diglipur tehsil),” Pathak instructs someone on the other side of the telephone. A caution board at Campbell Bay. Almost 30 per cent of the area falls under a difficult terrain and there is no electricity or proper accommodation in many places, Pathak points out. “All those engaged in poll duties in remote areas will have to travel through crocodile-infested mangrove swamps, deep jungle and a rough, open sea. There are areas where mid-size ships/vessels cannot be used. The only option is a small dinghy or dugout canoe. The poll officials and government employees will have to take all kinds of risks to reach their respective booths for April 11 polling,” he says. The situation was no different during the 2014 Lok Sabha elections, recounts Rina Ray, former chief electoral officer. She says her team and the then deputy commissioner at Nicobar were on their way to a remote polling booth when they were cautioned against the menace of crocodiles in the area. “We got off the boat after hours of journey in high sea and while wading through waist deep water towards the beach, we were asked to be mindful of crocodiles,” she tells News18. Awanish Kumar (left, in checked shirt) takes a boat to inspect poll preparedness. For inspector general of police Shalini Singh, Nicobar deputy commissioner Monica Priyadarshini and Campbell Bay assistant commissioner Prem Singh Meena, the most challenging and interesting experience will be when polling will be done at Shastri Nagar polling booth, the southernmost part of India. “This area falls under our jurisdiction and for the last two weeks we have covered all polling booths. We have organised camps so that people come forward to cast their votes. The most interesting experience would be polling at Shastri Nagar booth which is the last polling booth in India’s southern part. 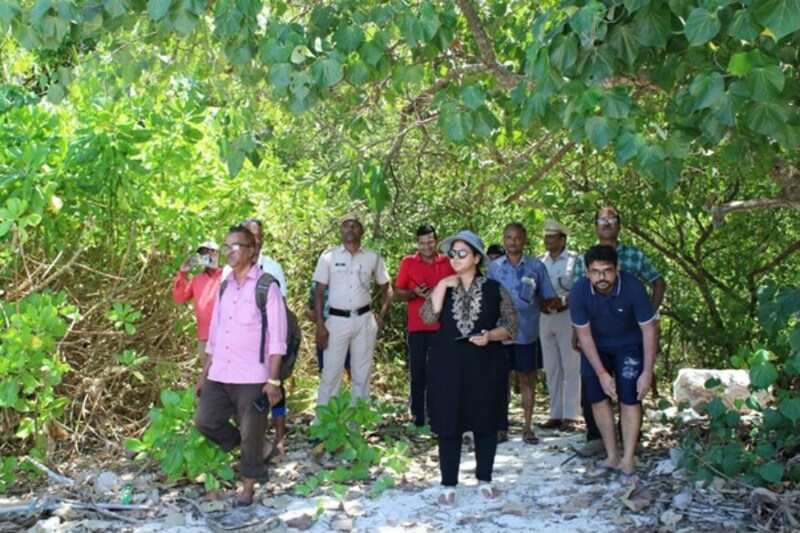 This is located nearly 35km from Indira Point,” Priyadarshini said. Monica Priyadarshini passes through a dense forest to inspect Shastri Nagar polling booth. This time, the main battle is between Kuldeep Rai Sharma of Congress and BJP’s Vishal Jolly. The sitting BJP MP, Bishnu Pada Roy, was not given ticket but is campaigning in favour of Jolly. The main poll issues here are unemployment, medical amenities, free quota of sugar for islanders (which was stopped three years ago), NRC, Citizenship Amendment Bill, education and national security in the wake of American tourist John Chau’s death by the Sentinelese tribe. A total of 3,11,000 voters are expected to cast their votes in 417 polling booths spread across three districts of Andaman & Nicobar Islands, which include South Andaman, Nicobar and North-Middle Andaman. There are 572 islands, of which 37 are inhabited (police service only in 18 islands). The biggest inhabited Island is Middle Andaman, which is nearly 1536 sq km, and the smallest inhabited Island is Curlieu Island spread over 0.03 sq km. About 1,000 electronic voting machines (EVM) and 700 voter verifiable paper audit trails (VVPAT) have already reached the archipelago where the polling will be held in the first phase on April 11. Nearly 1,500 officials are involved from North Andaman (close to Burma) to the last point of India ‘Indira Point’ in South Andaman to conduct the polls.